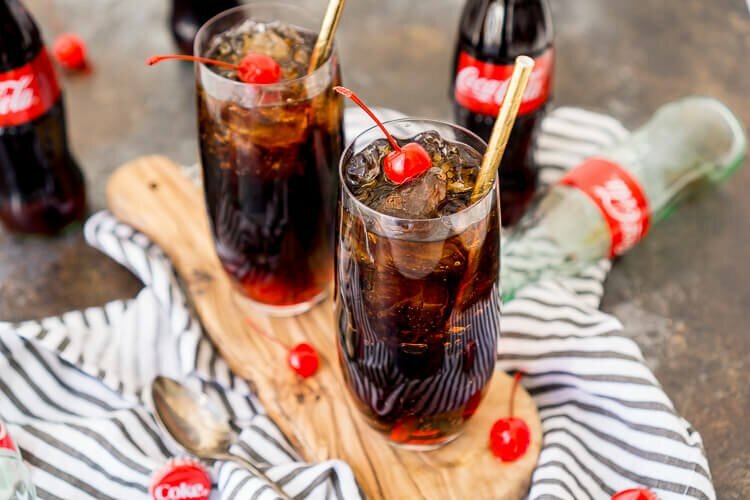 Roy Rogers Mocktail is an easy and popular non-alcoholic drink recipe made with Coke and grenadine and named for the famous singer and actor. 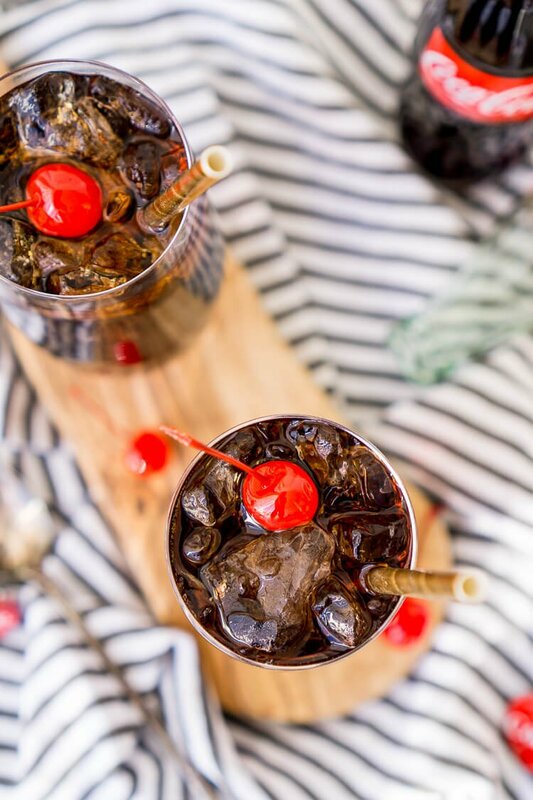 This Roy Rogers Mocktail is the perfect way to ease into the weekend! I feel like I’m finally starting to recover from this terrible cold/flu I’ve had since Christmas and I’m hoping not too many of you had to suffer from it too since it seems like it’s hitting a lot of people. Last night I put on makeup for the first time in two weeks and left the house for the third to see La La Land. As some of you may know, it’s a tradition for my husband and me to see all of the Oscar nominees (at least the major ones), we call it our Race to the Oscars. But since we’ve both been sick, we’re a little behind. I think we may have missed our shot to see Moana and Manchester by the Sea. I’ve wanted to see La La Land since it first showed at Sundance, and the Oscar buzz around it has been HUGE! And let me tell ya, it’s well deserved. Check out my La La Land inspired Chicken on a Stick recipe! So anyway, going along with movies is today’s fancy mocktail. I’m sure most of you have heard of Shirley Temples, grenadine and lemon-lime soda with a cherry on top. He was in over 100 movies, primarily Western films, and was also the start of The Roy Rogers Show which aired on NBC for six seasons in the 1950s. And while his roles didn’t earn him an Oscar, it did get a drink named after him. But in all actuality, no one really knows how this mocktail came to be known as the Roy Rogers. Roy Rogers himself didn’t drink alcohol, so it’s quite possible a bartender in old Hollywood made them for him on the regular, but it’s never been confirmed. So why Cola and grenadine? 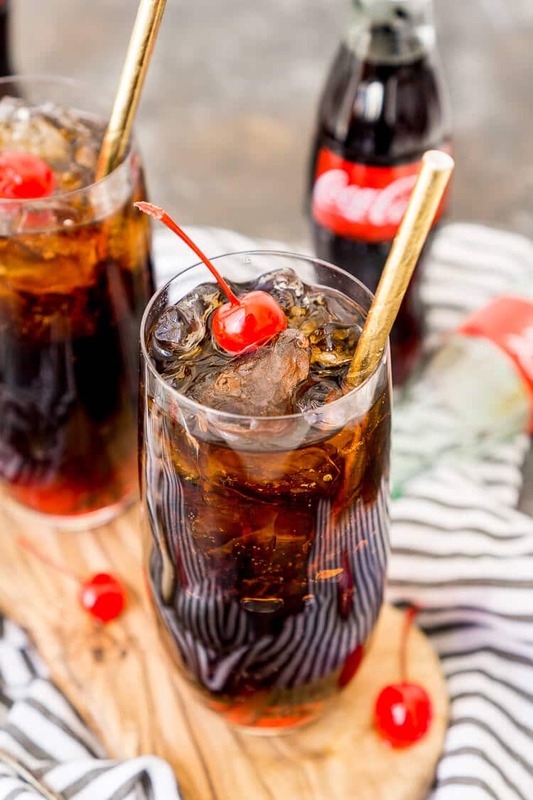 Did you know that Coke actually has a salty flavor? That’s why even those who don’t generally like it (me) love Roy Rogers. The mix of sweet and salty is a drink combo that’s hard to come by, but our taste buds love it! 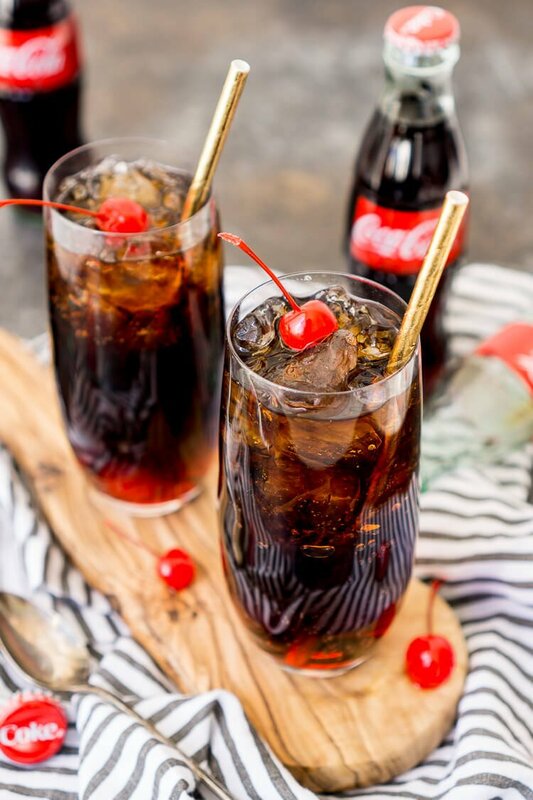 This mocktail recipe is so easy to whip up and is perfect for serving up alongside Shirley Temples at parties or mixing up just for yourself for a little something fancier at home! 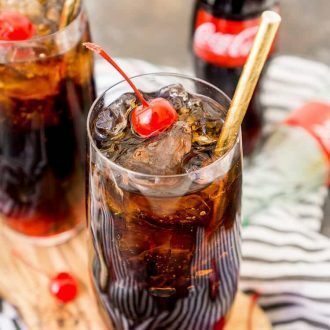 Pin this Roy Rogers Mocktail Recipe for Later! Watch How To Make A Roy Rogers in the Video Below! Fill a highball glass 3/4 of the way with ice. Pour grenadine over ice, followed by the Coke. 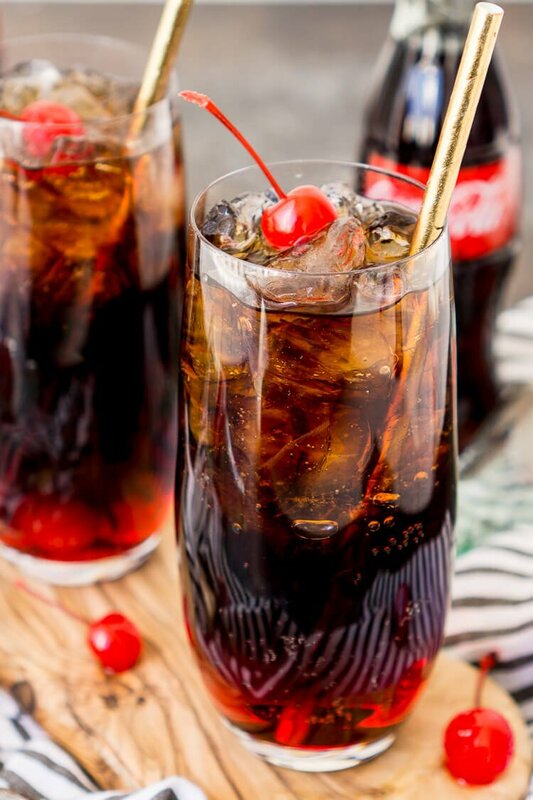 Garnish with a cherry and serve with a straw. I’ve never heard of a Roy Rogers! My boys would love these though, they love any kind of special drink… even Shirley Temples, they’re not old enough for them to be un-manly yet lol! Haha, I love that when we’re kids, things like that don’t bother us! This look so refreshing and easy!